Virginia didn't need the current local food movement to appreciate its natural bounty. The Virginia countryside and its waterways have been a source of fresh ingredients for centuries. And yet many restaurants have recently stepped up their efforts to an even higher standard when it comes to sourcing local ingredients. Hotels and resorts have generally lagged behind on this front, and largely with good reason. It's much harder for them to do it. After all, they generally have to feed greater numbers of people and many operate high-volume catering kitchens, which can complicate intentions to deliver small batch, seasonal, locally produced food. However, a few properties, driven by chefs committed to the idea of local, fresh and seasonal food are leading the way. Here are four hotels in Virginia that source much, if not all, of the food they serve locally, sometimes steps from their kitchens. This resort, which unfolds along the James River in Williamsburg Virginia, has big time bone fides, playing host to many politicos, including President Obama. Although it is near Colonial Williamsburg and Busch Gardens, with on-site activities like golf, indoor and outdoors pools, a marina with canoes and water bikes, many visitors head to Kingsmill just to hang out on property. Brand new private cottages at the water's edge have added a luxe edge to the resort. There are three distinct restaurants on property, all helmed by Chef Justin Dallinger, who is deeply committed to sourcing local ingredients. For instance, at Elements 1010, the menu features dishes like inlet clams with herbed butter, at The James Landing Grille, which is perched at the water's edge, local oysters and Chesapeake Bay rockfish are a mainstay, and even at the resort's coffee shop called The Mill, all of the fair trade coffee means are roasted locally. All draft beers are brewed in Virginia, including Devils Backbone, Legend, Star Hill, and St. George Brewing. And, the resort's proximity to Smithfield, Virginia -- known as the pig capital of the world -- has enabled Chef Dallinger to source locally-raised pork for everything from morning bacon to pork belly served with apple-bacon slaw. The resort also grows its own herbs and edible flowers, like peppermint chocolate mint, lemon basil, rosemary and lavender, and Kingsmill is currently in the process of creating an apiary, so that the kitchen will be able to tap the property's hives for local honey. The Goodstone Inn has long been a favorite of weary Washingtonians looking for a respite in the country. Located less than an hour outside of DC in Virginia horse country, this 265-acre retreat has 18 rooms and six cottages. Dinner reservations in The Goodstone Inn's restaurant are coveted by visitors and locals alike. The rustic-chic dining room is a magnet for devotees of fine dining. In an era when many restaurants have lost their culinary compass, Chef John Leonard has maintained the standards that have defined this property since its beginnings. The restaurant serves dishes like wild mushroom strudel with truffle emulsion and cast iron guinea hen with onion ragout, which are paired with vegetables grown right on property. The menu's lamb comes directly from the working farm on the property, as does the morning's eggs and the herbal garnishes. 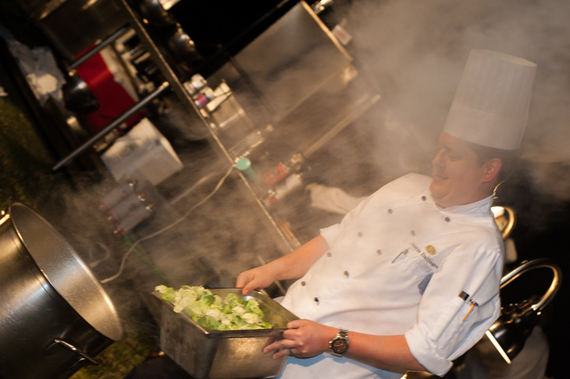 Stay in the right cottages and you can even watch kitchen staff harvesting for the next meal. The Tides Inn is a laid back, breezy resort that ambles along the waterfront in the sleepy Tidewater region of Virginia. Simple pleasures involve sailing, kayaking, paddle boarding and fly-fishing. There's golfing, a small spa and an outdoor pool. For all three restaurants on property, Chef TV Flynn taps local produce and herbs grown by British-born resort manager Gordon Slatford. 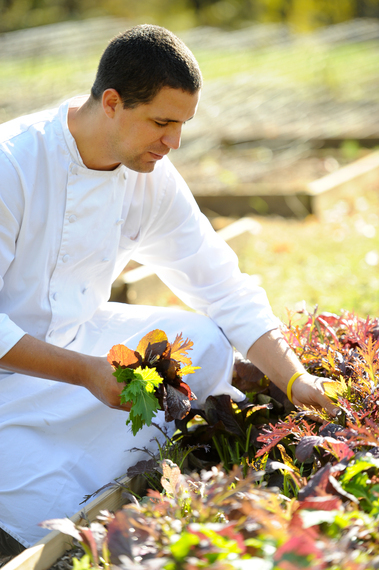 The most focused farm-to-table restaurant on property is the Chesapeake Club. Here, the kitchen incorporates local produce like corn, asparagus, tomatoes and apples, along with seafood such as oysters, bass, scallops, and blue crabs caught by watermen from the Rappahannock River. Chef Flynn's fried oysters have a restrained presentation so the sweet flavor of the local oysters comes through and his Chesapeake Bay crab cakes are filled with lump crabmeat to showcase the freshness. The Tides is so serious about local sourcing that it offers a special package for guests who are interested in heading out with a local oysterman to trawl for their own catch, which chef will prepare for them when they return to the resort. Clifton Inn, is an elegant country property tucked on 100 acres amid rolling hills and twisting lanes just outside Charlottesville. Rooms at the inn are defined by Oriental rugs and antique bureaus; cottages are roomy, more modern, yet equally civilized, spaces. Each room welcomes guests with a crystal decanter of Madeira, sad to be native son Thomas Jefferson's favorite libation. Because Clifton Inn is a Relais & Chateaux property, its restaurant is given the kind of status normally reserved for fine French country inns. The pretty restaurant, which in fine weather offers outdoor seating on a verandah overlooking a thicket of trees and a cascading hill, is a destination in its own right. 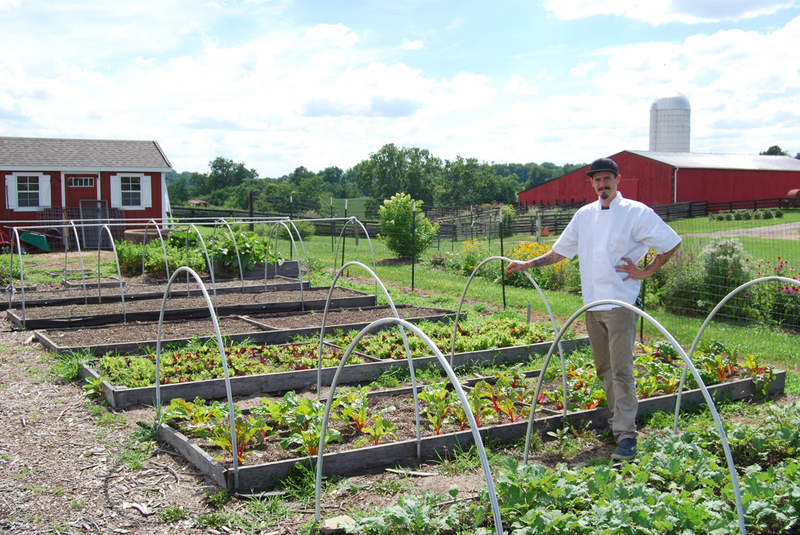 For Chef Tucker Yoder, farm-to-table is a way of life. He and his wife have their own small homestead farm in Virginia. 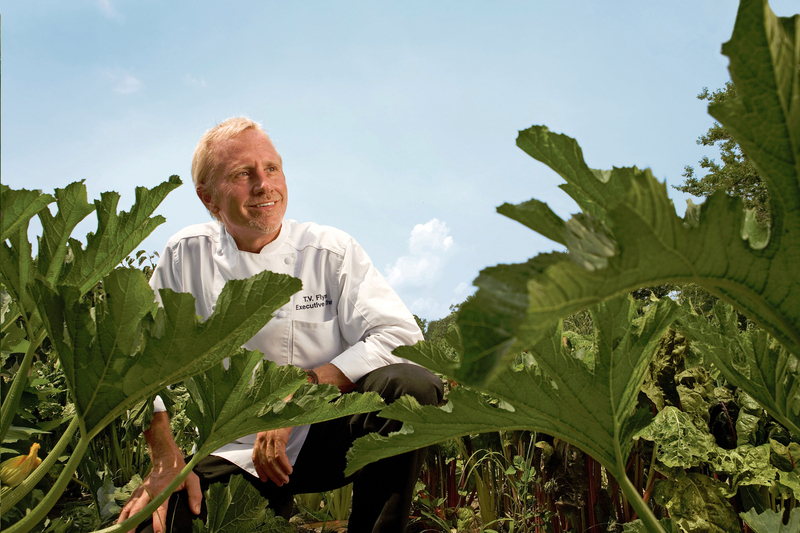 For the restaurant, he has created an on-site vegetable and herb patch that renders much of the kitchen's necessities for dishes such as sweet potato custard with charred onions and steamed cheesecake with concord grape jam topped with a brioche crisp. Although the wine list takes a trip around the world, it doesn't neglect its neighbors in Virginia wine country.